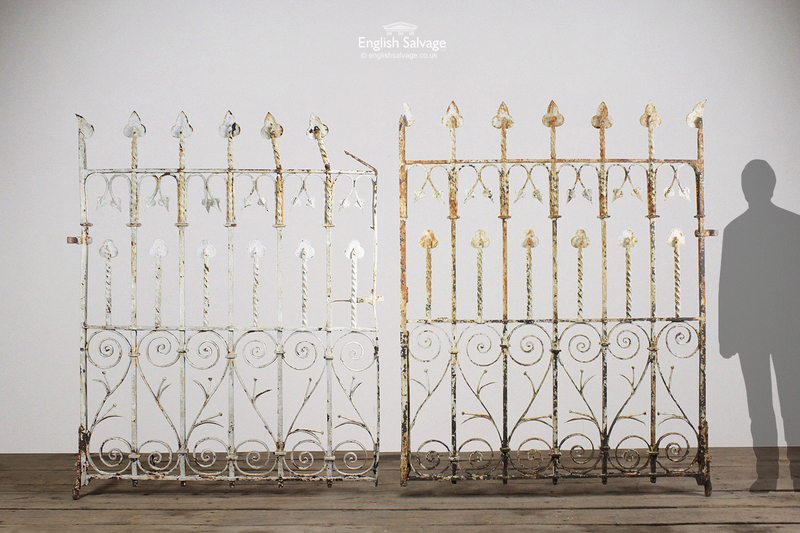 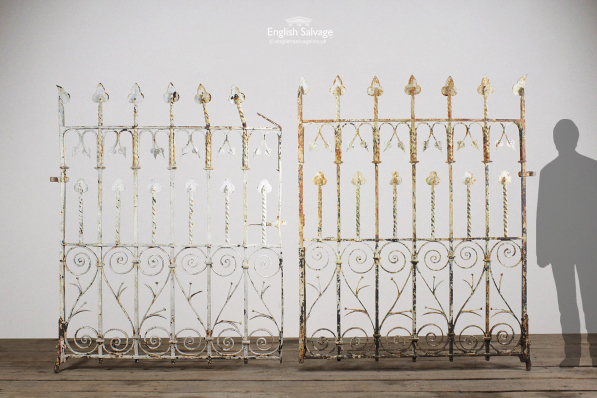 Reclaimed wrought iron double drive gate with barley twist and foliate detailing plus trefoil tops. 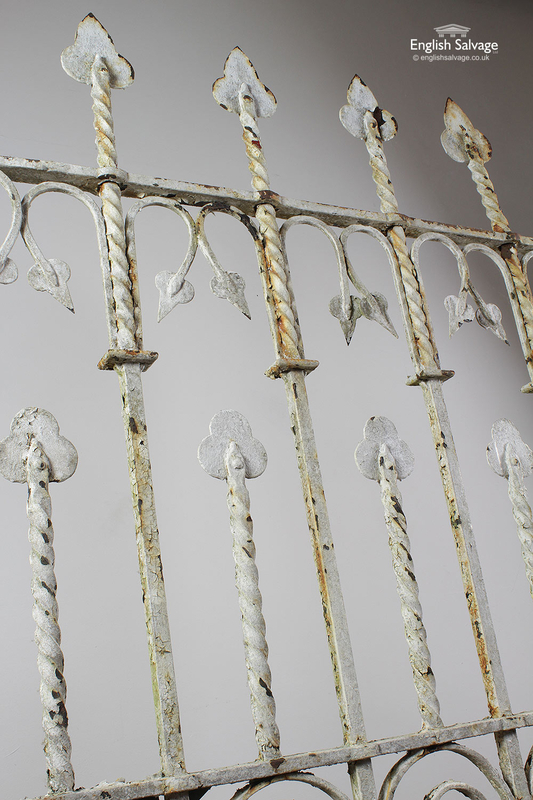 Size below is the rough overall size excluding the 9cm wide lugs each side and the 8cm high pivots on the bottom of each gate. 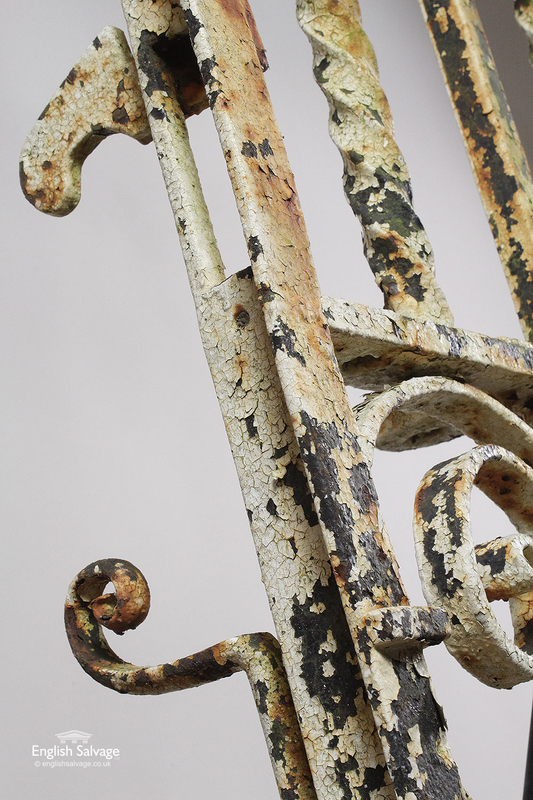 Peeling paint, surface rust and a few bends.